A-ma-ta is an good company, which was established by an obstetrician and gynecologist known as Dr. Christiane Northrup, who is a strong campaigner for the wellness and health of women.A-ma-ta as a company works tirelessly to provide several products, which are specifically formulated for older women needs.With the dream that each woman should have a healthy and vibrant feeling, A-ma-ta has greatly helped most women flourish despite their age. The company name A-ma-ta is coined from theThailand words eternal and ageless.This is the vision and mission of A-ma-ta as it try to meet its customers’ needs. A-ma-ta utilizes the highly potent extract of Pueraria Mirifica so as to offer women with enough support, which they require during their body changes and help them, feel ageless. Who is the Manufacturer of A-Ma-Ta? A-ma-ta is the company, which manufactures a number of products that are designed mostly for women. This company was started by an obstetrician and gynecologist called Dr. Christiane Northrup.The Company has massively grown marketing a several product lines, which aim at supporting the health and beauty of women. The categories of products that are offered through A-ma-ta areMenopause Relief, Performance Collection and Bath and Relaxation. 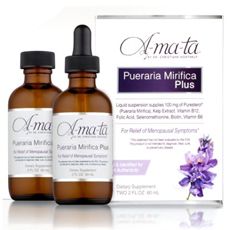 Several claims have been made concerning the benefit and effectiveness of using A-ma-ta products to help women feel ageless.The manufacturer claims that A-ma-ta utilizes the highly potent extract of Pueraria Mirifica which has been known for about 700 years in Thailand for reducing menopause symptoms and also can support healthier skin, stabilize your mood, support better sleep, and reduces hot flashes. Furthermore, the manufacturer claims that A-ma-ta menopause supplement can help keep your skin firm, look fresh and youthful. A-Ma-Ta Ingredients – Are they Safe & Effective? The main ingredient in A-ma-ta is Pueraria Mirifica. 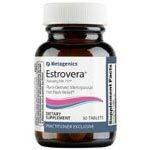 Pueraria Mirifica is highly potent extract which has been known for more than 700 years in Thailand for reducing symptoms of menopause for most Thai women. By utilizing this ingredient A-ma-ta has remained competitive on the beauty and wellness market.Pueraria Mirifica was first discovered since 1931 by the Western world; it was used and praised for its rejuvenating properties.Pueraria Mirifica is made up three phytoestrogens-isoflavonoids, mirestrol and deoxymiroestrol and coumestan which are all effective in reducing menopause symptoms. What are the Advantages of A-Ma-Ta? What are the Disadvantages of A-Ma-Ta? Is it safe to purchase A-ma-ta products online? Yes, the websites used to purchase these products use secure and strong data encryption connections that ensure safety and security. Where can I buy A-Ma-Ta Products? A-ma-ta products can be purchased from several online retailers and from the official website. A-ma-ta products are the right menopause relief product for all women because; they are focused on helping women feel ageless and reduce the symptoms of menopause.